Review: There is no doubt that THE POST has everything going for it. A true story directed by Steven Spielberg and starring Tom Hanks and Meryl Streep? Let’s just hand out the awards right now. 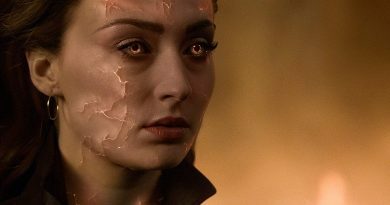 It isn’t perfect though and even with textbook performances and a powerful backdrop it often lacks any organic emotion. If you want a historical narrative with acting that never stumbles then this is your flick. The script covers the publishing of the Pentagon Papers by the New York Times which Nixon’s White House deemed unlawful. This started a war on freedom of the press and people were asking if the government should be able to ban the release of news and stories just because it puts them in a bad light. Another newspaper, The Washington Post, said “no” and was willing to risk it all and publish the documents. Not an easy decision and one that could have placed them in prison. 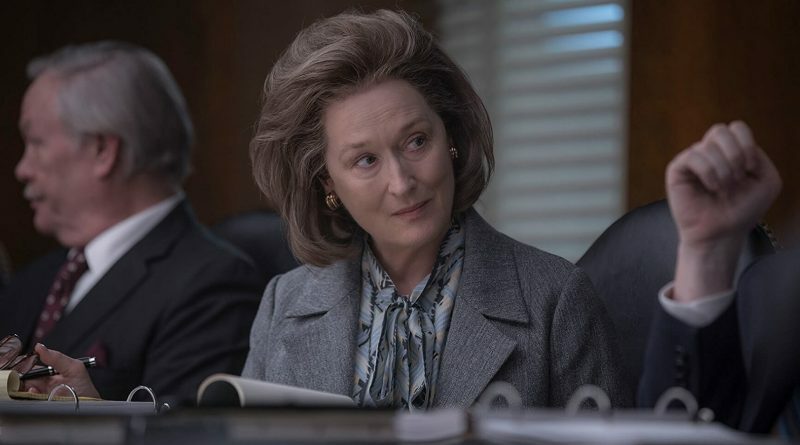 The bigger story and the glue that holds the scenes together is that of The Posts owner and first female publisher Kay Graham (Meryl Streep). Being a woman in that era was not easy. Owning a corporation even harder. Kay had to make tough decisions often ignoring the male voices around her; decisions which could destroy her paper and her career. Some of the best scenes are those in which Streep expertly tackles these hard calls. Tom Hanks plays executive editor Ben Bradlee. He is a no nonsense news man who thinks the paper should publish the articles regardless of the outcome. We have seen Hanks deliver lines like these a thousand times. Yes it is void of error but nothing more than we would expect. Again the emotion comes from the writing of Liz Hannah and Josh Singer. 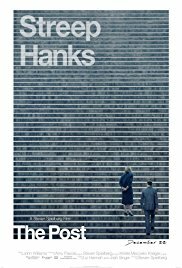 Hanks, and to be honest Streep as well, stick very close to the comfort zone and allow the story to do the work. That is ok but safe. THE POST is rated PG-13 for language and brief war violence. It is a film for those who like news stories, early days of publishing, and textbook film making. I give it 3.5 out of 5 presses. It took two watchings to get the full impact of the story but one I would recommend watching, especially for those who follow the award circuit. This one is going to gobble up the nominations for sure. Wins? Maybe not as many.